We know that Syncro is an inductive device which works on the principle of rotating transformer. 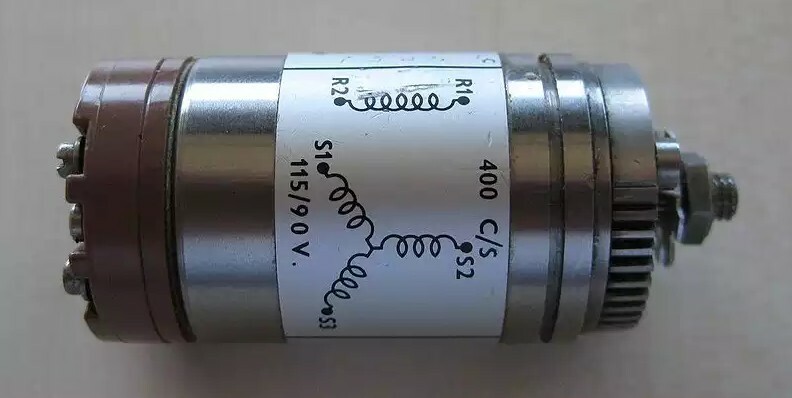 Here the term rotating transformer means the primary to secondary coupling can be changed by physically changing the relative orientation of the winding. So based on this working principle of syncro we can use it as position transducer. 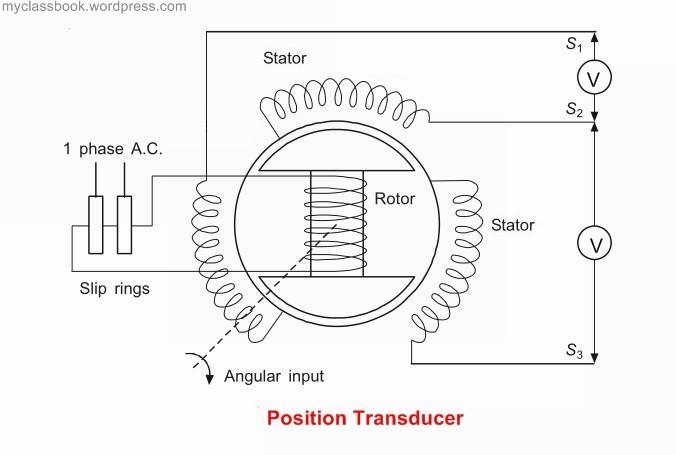 Position transducer is one of the basic application of the Synchro. It uses dumb-bell shaped rotor. Single phase ac supply is given to the rotor of the Synchro. This rotor is mechanically coupled with the shaft of rotating element whose angular position is to be determined. E1 = Eom cos? sin wt = instantaneous voltage for stator windings S1. E1 = Eom cos(?+120) sin wt = instantaneous voltage for stator windings S2. E1 = Eom cos(?+240) sin wt = instantaneous voltage for stator windings S3. t = time in seconds. All instantaneous voltages are sinusoidal in nature. But they give different values of voltages at different position of rotor. Thus using these three values of stator voltages we can easily measure the position of the rotor. Hence Synchro can be used as a position transducer. 1) For measuring the angle of the rotating machine like antenna platform. Synchro pair as an Error Detector. Different types of solid state relays (SSR) and their working.